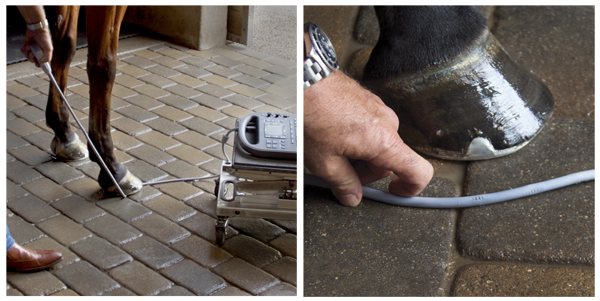 Discover the most dependable, innovative, and easy-to-use equine ultrasound systems ever. An equine veterinarian’s day can be unpredictable and so can their patients. The demands of an equine vet with their ultrasound can push the limits of durability. Across the globe, they have come to rely on SonoSite ultrasound. Unrivaled portability, ease of use, reliability, and durability, SonoSite ultrasounds go where you need it, when you need it. Initially developed for the military, SonoSite portable and kiosk-based systems offer the only manufacturer 5 year warranty. SonoSite takes the guesswork out of imaging with a great diagnostic image that is easy to obtain. Fast boot up to scan in less than 25 seconds, SonoSite ultrasounds enable the practioner to focus on the patient instead of adjusting or optimizing the ultrasound machine. Providing first-class support after the sale with SonoSite's industry-leading five-year warranty, FUJIFILM SonoSite combines simplicity with peace of mind.